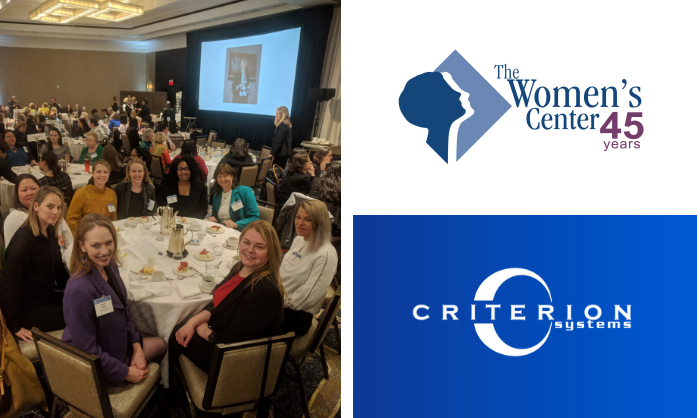 On a beautiful April Saturday, several employees and guests of Criterion Systems attended the Women’s Center Annual Leadership Conference. Criterion was a patron sponsor for the third year in a row. The theme of the conference was “It Starts with Us,” a call to action for the leader in all of us, women and men. Throughout the day, we heard stories from amazing leaders about their career paths, hard choices, and vision for what is to come. Lonheig called it “uplifting” and Veronica agreed, “I would like to say that this was the best conference I have ever been to. The presenters were very candid and shared a lot of valuable information on the skill sets you need to be a great leader as well as on how to improve your leadership skills.